Really? And your proof is? 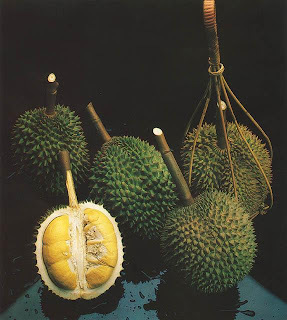 Oh yeah, durian... That thing tastes horrible. But my dad and my grandpa likes that stuff. lol, my mom LOVES that. (she's of Indonesian ethnicity). And my dad hates it. I for one have never had. I would really like to try, though! That's what Anthony Bourdain said it tasted like, when he went to Indonesia.